This is an extraordinary book. It is a memorial to the long-established Nannau estate and its long-standing family in Merioneth but it has potential for a much wider readership. Its painstaking research into how the estate was formed and developed makes this a very worthwhile tribute to the estate and its family, from a man who is part of a family tree which has extended for nine centuries. 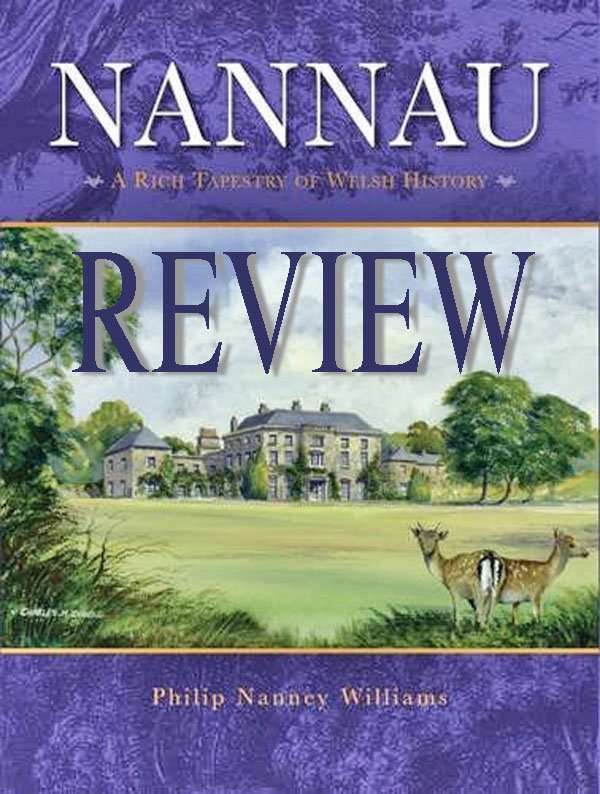 At every turn what happened at Nannau is correlated with wider regional and national Welsh History. The richness of its extensive range of illustrative maps, drawings and photographs helps to bring alive what has happened on this estate and in its neighbourhood, and to put it in a much wider perspective. Anyone, who has an association or familiarity with Dolgellau and the neighbourhood to its north, will find this book of particular interest. It is more than just the story of a family or an estate. Even without an awareness of the historic family involved, what Philip Nanney Williams provides is a potential understanding of the wider social and political local context, the buildings, the local occupations and the topographical setting, all of which have enhanced my personal appreciation and understanding of an area with which I was already deeply familiar. It can only be hoped that this stately home, now in a seriously dilapidated condition, can be rescued for a future role within its local community. Courtesy of The History Association.